Gliding Patio Doors give your home the old-word character of tradicional French doors while, at the same time, they give your family the convenience and space savings no hinged door can provide. They are just as effective in sealing drafts and moisture out of your home. Add to that quality construction with mortise-and-tenon dowel joints and self adjusting dual ball-bearing rollers, and you can be sure they will deliver smooth sliding, solid performance for years. 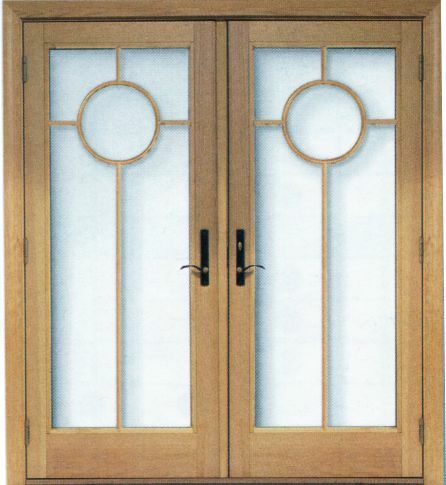 Frenchwood door gliding doors offer an extensive array of options and accessories and are available in two four panel configuration to fit any size requirements. 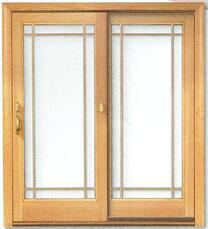 Hinged Patio Doors not only open your home to the word outside, they bring the beauty of natural inside. They can flood a room with sun light, provide panoramic views and their wide wood profiles add an undeniable elegance to their surroundings. Yet they are just as effective in sealing the elements out. And with quality construction like mortise-and-tenon dowel joints and a multi-point loching system that seals the doors tight at the top, center and bottom. Frenchwood door hinged doors offer an extensive array of options and accessories and are available in two four panel configuration to fit any size requirements. With six distinctively styles - Yuma, Encino, Newbury, Covington and Whitmore - in solid forged brass with eight metal finish options and also two styles - Albany and Tribeca in diecast zinc with durable powder-coated finishes.